Aria cloud-based solution for IVRs offer the latest designed IVR installed through hosted platform and allow business to access IVR application through web panel and mobile app. It is the most reliable and low cost solution for businesses with providing added advantage of flexibility, and scalability. It offers creating N numbers of business extension with a single business number and requires no hardware installation. All the data stays safe on cloud premise and admin can access the same through admin login credentials. 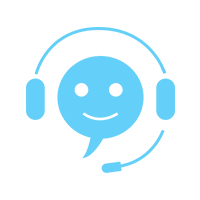 Aria cloud based IVR is perfect for the organizations that require two-way communication with clients and partner for a smooth business communication. Any business such as SMEs, call Centre, marketing firms, healthcare, e-commerce etc can subscribe to our cloud based IVRS technology to enjoy a flawless communication.